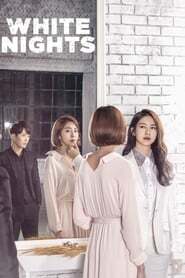 K-Drama My Only One [Episode 81-82 Added] A woman's life gets twisted one day because of her biological father who shows up after 28 years of absence. He had been thoroughly hiding his identity, afraid that he might be an obstacle in his daughter's life. The father and daughter meet the "only ones" in their lives and put back together the pieces of their broken hearts. K-Drama Manhole This time-slip drama centers around Bong Pil and his five friends who travel between the past and present through a manhole in order to stop a wedding scheduled a week later. K-Drama High Society Jang Yoon-Ha is the youngest daughter of a chaebol. Even though her family is extremely wealthy, she holds a part-time job at a food market. She hides her background as an heiress and attempts to find a man that loves her for herself. K-Drama Marriage Contract Kang Hye Soo is a single mom. Her husband dies in an accident and she raises her little daughter alone. Afterwards, She learns that she has brain tumor. She then signs a Marriage Contract with a rich man, Han Ji Hoon in order to find a guardian for her daughter.